He was known as "Silent Cal." Buttoned up and tight-lipped, Calvin Coolidge seemed out of place as the leader of a nation plunging headlong into the modern era. His six years in office were a time of flappers, speakeasies, and a stock market boom, but his focus was on cutting taxes, balancing the federal budget, and promoting corporate productivity. "The chief business of the American people is business," he famously said. 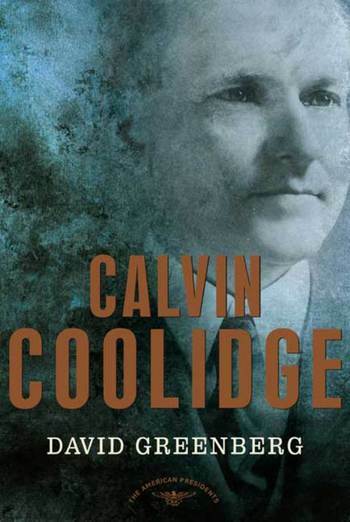 But there is more to Coolidge than the stern capitalist scold. He was the progenitor of a conservatism that would flourish later in the century and a true innovator in the use of public relations and media. Coolidge worked with the top PR men of his day and seized on the rising technologies of newsreels and radio to bring the presidency into the lives of ordinary Americans—a path that led directly to FDR's "fireside chats" and the expert use of television by Kennedy and Reagan. At a time of great upheaval, Coolidge embodied the ambivalence that many of his countrymen felt. America kept "cool with Coolidge," and he returned the favor. David Greenberg is a professor of history and media studies at Rutgers University, a columnist for Slate, and the author of the prizewinning Nixon's Shadow: The History of an Image. A former acting editor of The New Republic, he has written for many scholarly and popular publications, including The Atlantic Monthly, Foreign Affairs, The New York Times, and The Washington Post. He lives in New York City.